Daniel McGowan may have been the first person thrown in solitary confinement for writing a HuffPost blog. Now he’ll be the first person to sue the Bureau of Prisons over it. The environmental activist and former prisoner filed a lawsuit on Wednesday against the prison system over an April 2013 incident in which U.S. Marshals threw him in a Brooklyn federal jail — ironically, for criticizing earlier violations of his free speech. “The Bureau of Prisons does not like criticism and their reaction was unsurprisingly to try and crush someone who stepped out of line,” McGowan told HuffPost Tuesday in an email. Join us across the Triangle the week of June 11 for events supporting Marie & Eric, celebrating resistance and eco-defense, and opposing prisons and the world that creates them. Join us to share food, stories, slideshows and celebration of Marie, Eric and movements to defend the earth. We’ll be gathering donations for Marie and Eric’s support, writing letters to send them, and having fun together. Bring anti-prison banners and flags, drums, pots and pans, and anything that makes light and noise. Bring your hopes and visions for struggle, and your rage and anger for the prison system that locks up our friends, comrades, and family members. We’ll come together to show our solidarity with all prisoners and express our rage and bring light to the struggles taking place in Durham and throughout prisons and jails in North Carolina (and beyond). We do this in solidarity with Marie and Eric, long-term eco and anarchist prisoners, and all those struggling in and against prisons. Rebecca Rubin has been transferred again. Please send Rebecca Rubin a letter or note of encouragement, being transferred can be quite jarring and it’s good for her to hear that people are keeping up with her. 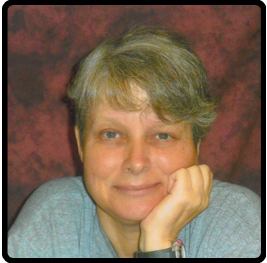 Rebecca was recently sentenced 5 years for her participation in multiple Earth Liberation Front actions that occurred between 1996 and 2001. A federal judge on Monday sentenced eco-saboteur Rebecca Rubin to five years in prison — less than what prosecutors sought for the former fugitive from Canada. Rubin, voice shaking, apologized to her family, the court, firefighters as well as targets of the Animal Liberation Front and Earth Liberation Front. “I was so convinced at the righteousness of my beliefs, that I chose to ignore my own wrongdoing,” Rubin said. Federal prosecutors had asked Aiken for a 7 ½-year prison sentence for Rubin. Rubin’s attorney argued for five years. We’ve seen a great outpouring of support for Marie since the Move Marie campaign launched in October. Events across the country and even the world have been organized, publishers such as AK Press and Burning Books have been sending out postcards with orders, bookfairs and other events have been gathering and mailing signed postcards to the BOP. The response has been moving and powerful. We’re calling now for those of you who haven’t yet sent in a letter, to do so by November 25th. After this final push of sending letters demanding that Marie be moved, we’ll be entering into the next phase of the campaign.